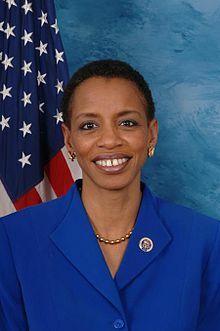 Congresswoman Donna Edwards (D-MD), the ranking member of the U.S. House Subcommittee on Space, will address the 19th Annual International Mars Society Convention on Friday, September 23rd, 2016 at the Catholic University of America in Washington, D.C.
A strong advocate of Mars exploration and a human mission to the Red Planet, Rep. Edwards will discuss the future of the U.S. space program and the need for Congress to increase NASA’s budget, including funding for a humans-to-Mars program. Rep. Edwards currently sits on several House committees, including the Committee on Science, Space & Technology and the Committee on Transportation & Infrastructure. Prior to being elected to Congress in 2008, Rep. Edwards served as a lawyer and a community activist. She received B.A degrees in English and Spanish from Wake Forest University and also earned a J.D. degree from the University of New Hampshire School of Law (formerly the Franklin Pierce Law Center). Learn more about the 2016 Mars Society Convention, including registration details, the speakers list and corporate sponsorship opportunities, by visiting our web site. The convention's full program itinerary will be posted online in the coming weeks.